EAT Cafe is closing its doors on April 19. The city's first pay-what-you-wish restaurant, EAT Cafe, will be closing for good before the end of this month. 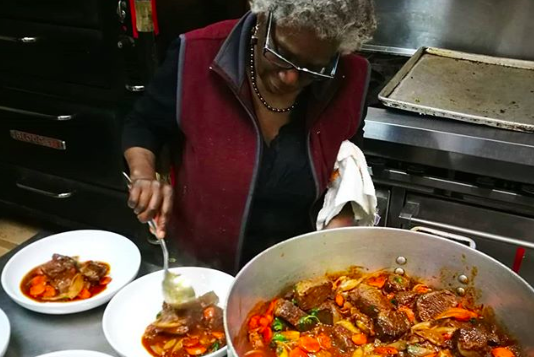 In partnership with Drexel University's Center for Hunger-Free Communities, EAT served the community meals in exchange for whatever diners could afford to pay for the last 2 1/2 years. It's located at 3820 Lancaster Ave. in Powelton. Now, due to "rising costs of operations and a loss of funding," EAT — Everyone At the Table — has been unable to continue providing its three-course, seated meals, four days a week and continue to pay its staff, the two organizations said in a joint statement on Tuesday. According to the statement, Drexel's Center for Hunger-Free Communities will still be exploring opportunities for other partnerships in the future. "Drexel thanks the West Philadelphia community for embracing and welcoming the EAT Café into its vibrant community," the statement read. "Although the Café is closing, the Center for Hunger-Free Communities will continue its efforts to bring everyone to the table and to end hunger in communities. The Center is currently exploring opportunities for other nutrition programming and partnerships." When EAT Cafe opened in October 2016, the food it served was donated by restaurants and companies like Giant Food Stores, Metropolitan Bakery, La Colombe Coffee and others to the nonprofit. The Vetri Community Partnership, founded by Chef Marc Vetri and business partner Jeff Benjamin, also are lead partners in the restaurant. EAT Cafe will serve its last meals on April 19.